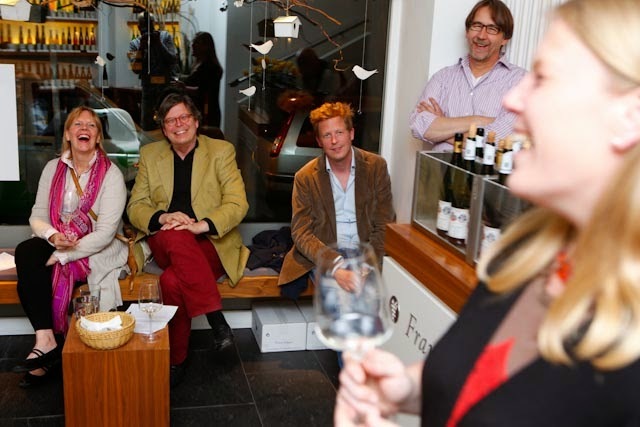 At the innitiative of Gernot Dorsch and Wolfgang Feierfeil (Frankfurt/Wein), Winemaker Dorothee Zilliken (Weingut Forstmeister Geltz-Zilliken), was in town (Frankfurt am Main, Germany) to present her portfolio. Weingut Forstmeister Geltz-Zilliken is one of Germany’s leading producer of fruity-sweet and noble-sweet wines. The estate enjoys cult status in some circles, including with some of my wine friends in the Washington DC area. Weingut Geltz-Zilliken produces 100% Riesling wines, of which about 80% is fermented in a sweet style. 70% of the production is exported. In the US, Weingut Geltz-Zilliken has been in the portfolio of Rudi Wiest Selection for a long time. The photos in this posting were taken by Axel Gross (grossaufnahmen.de) and by me. Dorothee Zilliken: From uncomplicated and fresh estate wines to elegant bottles destined to accompany fine meals and sweet, late harvest wines that will only begin to mature and develop ten years after harvest, Zilliken Rieslings are beloved by aficionados from New York to Tokyo. Wine critics proclaim: Geltz Zilliken's wines are a perpetual player in the international Champion's League of wine. Put simply, they are among the finest Rieslings the world has to offer. We aren't influenced by international trends and styles (except perhaps by a name like 'Butterfly'). We instead focus on timeless tradition, beginning with our labels, the same as those our grandfather placed on his bottles. There are no compromises when it comes to quality; we do things as they have always been done. Our dry Rieslings stand proudly in our portfolio, shoulder to shoulder with their better-known noble sweet counterparts — Auslese, Trockenbeeren-Auslese and Eiswein. The best of these wines will be sent to auction. Weingut Geltz-Zilliken is located in the Saar Valley, which belongs to the Mosel district, very close to France and Luxembourg. Weingut Geltz-Zilliken is a founding member of the VDP, the association of German elite winemakers. As early as 1742, or 270 years ago, records show that the ancestors of the Zilliken family were active as wine producers in both Saarburg and Ockfen. The initial status and reputation of the estate’s wines were primarily the work of the Royal Prussian District Forester, Ferdinand Geltz (1851-1925). 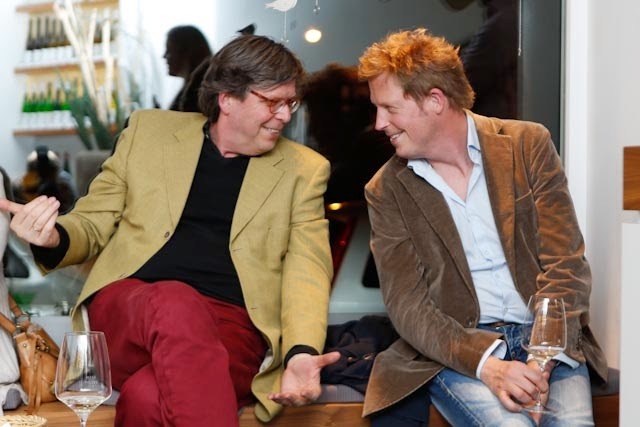 In 1976 Hanno Zilliken and his father succeeded in restoring the original estate to its former size after it had previously been partitioned through inheritances. Hanno Zilliken started in 1976 as cellar master and took ownership in 1981. 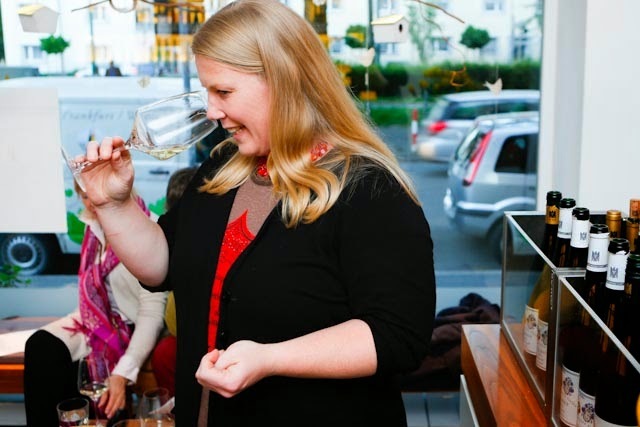 In 2007, his oldest daughter, Dorothee Zilliken, who led the winetasting in Frankfurt am Main, joined the estate after completing her studies at Geisenheim University and a two year stint at Schloss Vollrads in the Rheingau. Dorothee is married to Philipp Zilliken (nee Hoffmann), who is a career changer and recently started to work at the estate. With a vineyard area of 11 hectares, Weingut Geltz-Zilliken is a small estate. It is a family-run estate, with only 2 full-time employees and seasonal workers for the harvest. All grapes are sourced from its two VDP.Grosse Lage vineyards: Saarburger Rausch and Ockfener Bockstein, including for its popular “Butterfly” wine. Saarburger Rausch - Thinly layered slate, very gravelly with basalt rock, (Diabas), and veins of reddish earth. The Rieslings from the Rausch exhibit an interesting, subtle, dusty gout de terroir along with citrus, lemon balm and flint. Ockfener Bockstein - Grey slate, sandstone laced with quartzite, gravelly, and intermittent yellow earth. Bockstein Rieslings are more steely and straight ahead but also apples, pears and citrus. The Weingut Forstmeister Geltz-Zilliken wine cellar is very special. I have heard this from many sources and Dorothee talked quite a bit about the cellar: We have a very old cellar. It's 100 years old and it's very dark, humid and cold. The humidity is always between 95% and 99% so it very high and looks like a cave that is always dropping. It's very good for our corks. When we close the cork it stays very soft and gentle which is perfect for the storage conditions. Especially for the normal sweet wines we can store them for: 30, 40 or 50 years in our cork cellar without recorking them. So these corks will always stay in the bottle which is perfect. We are fermenting all our wines in our German oak barrels and not those stainless steel tanks but small barrels. The content is about 1000 liters and is toasted inside giving a flavor vanilla aroma to the wine. These German barrels are none toasted so they are neutral and not giving any flavors. However, we think that it's worth to work with these German barrels because they are rounding the wine a bit and gives the wine more harmony. From the working point of view, it would be much easier to have these tank steel barrels but we will then miss more taste in the mouth. Weingut Geltz-Zilliken is a 100% Riesling producer. Dorothee Zilliken: We are just producing the Riesling grape variety. We think it's more worth to produce it there because we have a Devonian Slate terroir, which is the best condition for growing Riesling. We have very steep mountains vineyards that are between 30 and 60 degrees of steepness. We are only harvesting by hand which is very important for us because then you can safe all the quality of the grapes. Because if you are taking the housing machine and run through the vineyard lines it will also be catching as for example a lot of leaves and the pressure on the grapes is too high. This is the reason why we are only harvesting by hand. Dorothee Zilliken: Grapes were picked early in the harvest – first selection. Only healthy grapes. In terms of Oechsle, picked at Spaetlese level. Fully fermented to a dry level, although our dry wines generally are at the border of what can be classified as trocken. Dorothee Zilliken: It is a recent development that we make premium dry wines. 2013, we did not make any Grosses Geaechs, because we felt the conditions were not right for a Grosses Gewaechs. In the traditional classification, this would be an Auslese trocken. It is an elegant wine, a bit withdrawn, which needs some time in the glass to fully open up. Dorothee Zilliken: We started to produce Butterfly in 2002, with 6000 bottles. We quickly moved to 22000 bottles and are now back to 15000, because we need the grapes for our other wines. Butterfly is well balanced thanks to the sugar acidity which makes it fit to a lot of different kind of food. If you have a meal with more spiciness then you should take a more sweet wine like. David Bowler in New York offers currently the 2012 Butterfly and writes: 18g/l RS, 7.5g acid and 11.5 alcohol. The everyday sipping wine from Zilliken in a “feinherb” or medium-dry style sourced mainly from the Saarburger Rausch grand cru with a small percentage of Ockfener Bockstein - two incredible sites! That’s a rather deluxe “sipping wine.” The palate of the 2012 is juicy, vital and delicious, with crystalline clarity of flavor and a dash of celery salt sprinkled over a lemon and green apple core. It’s as good as or better than this cuvee has EVER been —-proof positive that winemaker Dorothee Zilliken (who shepherded this wine into being) is a sure-handed heir to her father Hanno. Dorothee Zilliken: 50g/l RS – which you barely taste in the glass. Apple, pear. A very elegant wine. Dorothee Zilliken: Less yellow fruit notes and more tropical fruit notes (compared to the previous wine) – Pineapple, Mango, Maracuja. Long finish with good acidity. Can be easily put away for 20 years. Has some botrityzed grapes. Dorothee Zilliken: Tons of apricot notes, also tropical fruit notes. Because of the acidity, you can put away the wine for 30 years. Has some botrityzed grapes, but you do not taste it. Vrienden van de Riesling: Complex fruit in the nose with lots of primary fruit (exotic, like pineapple), a delicate spiciness but also a lot of dried fruit (date, figs). After a powerful start follows an almost refreshing lightness by the precise balance between sweet and acid. The finish, with fine citric acidity, is very long. Thank you Dorothee for a great evening.